After 1 month it was time for the rest of the recipe. It was, cooking wise, pretty straightforward, not at like some of the crazier recipes (yes I’m looking at you lamb). 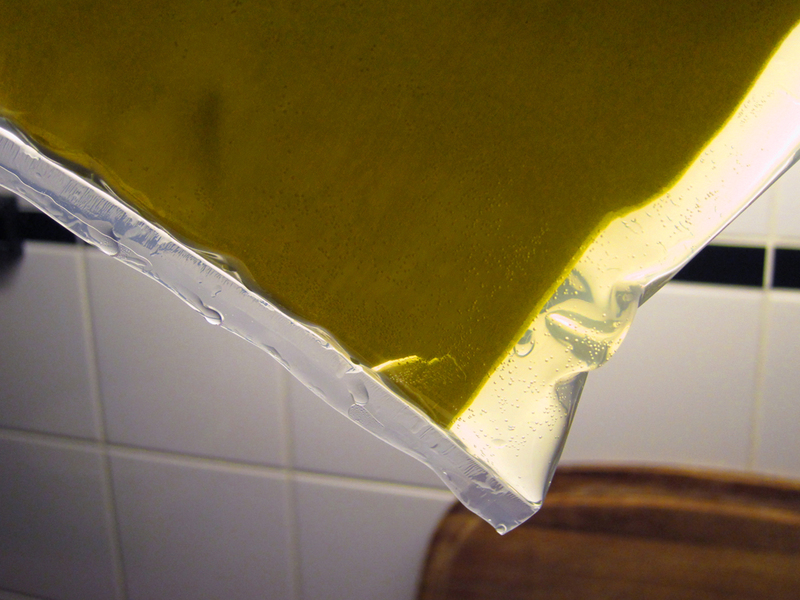 The thing that took the most time was the sand, based on miso oil, made by mixing miso, cod liver oil and grapeseed oil and letting it sit for 2 days. 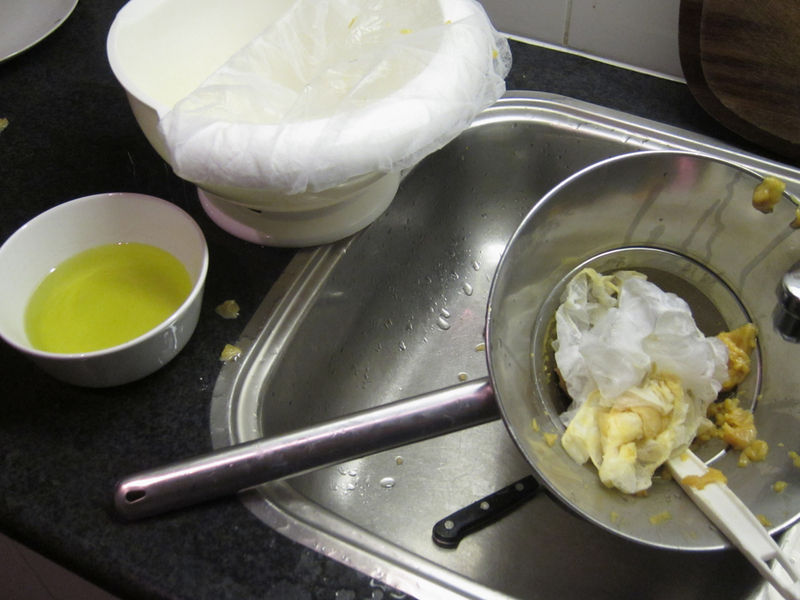 The oil didn’t float to the surface, so I had to squeeze it out with muslin. 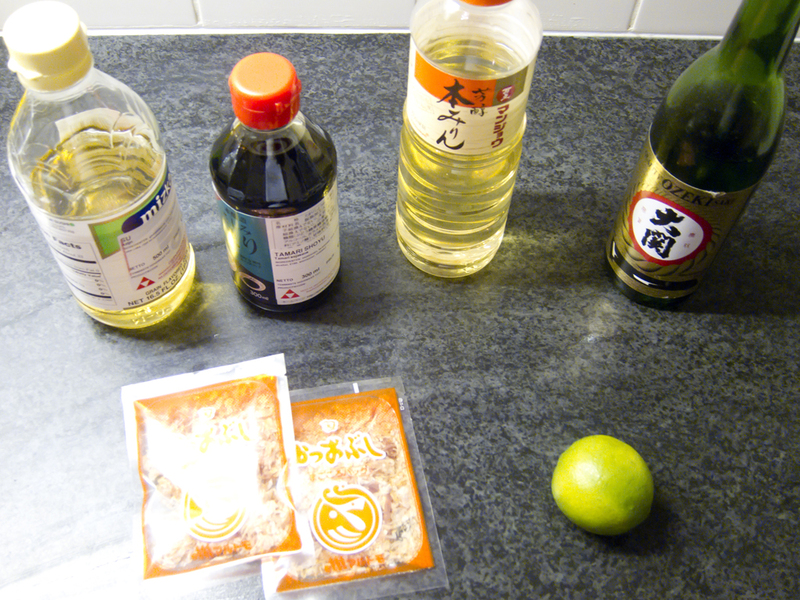 Maybe I mixed it too rigorously (the recipe states to mix the miso and oil ‘carefully’)? The oil didn’t taste salty at all by the way. 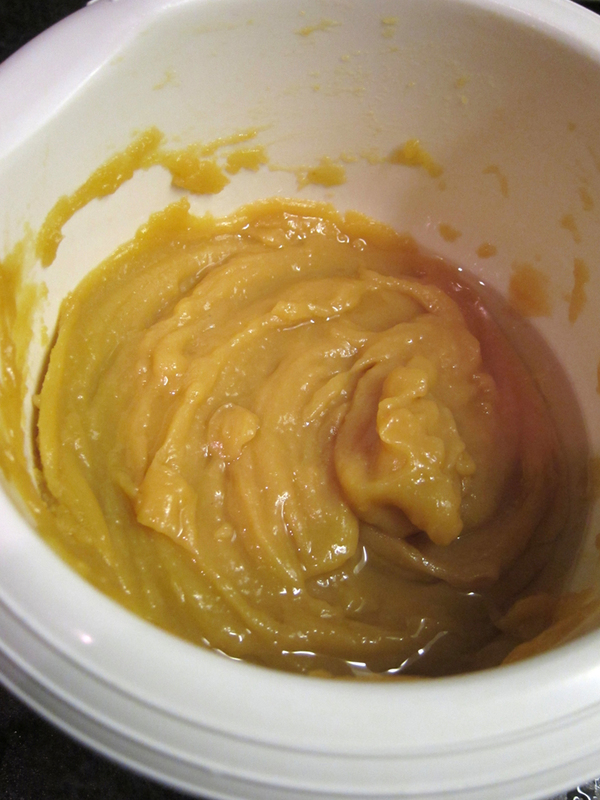 I’ve always learned to dissolve salt in vinegar when making mayonnaise, so the grapeseed oil was probably not able to pick up any salt from the miso. 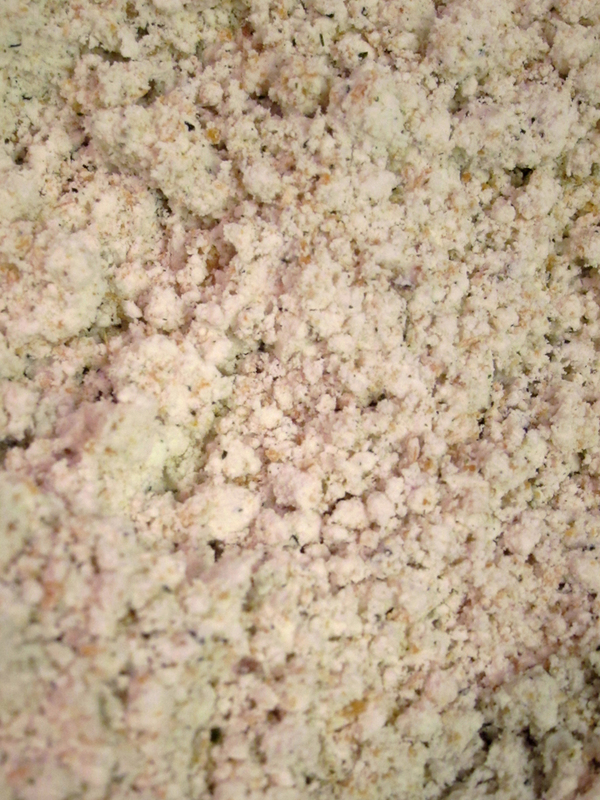 The rest of the sand is made up from fried shirasu, fried panko, ground ice-cream cones, ground kombu, blue shimmer powder (creates a glistering), brown carbonized vegetable powder (probably for color) and N-Zorbit M tapioca maltodextrin. 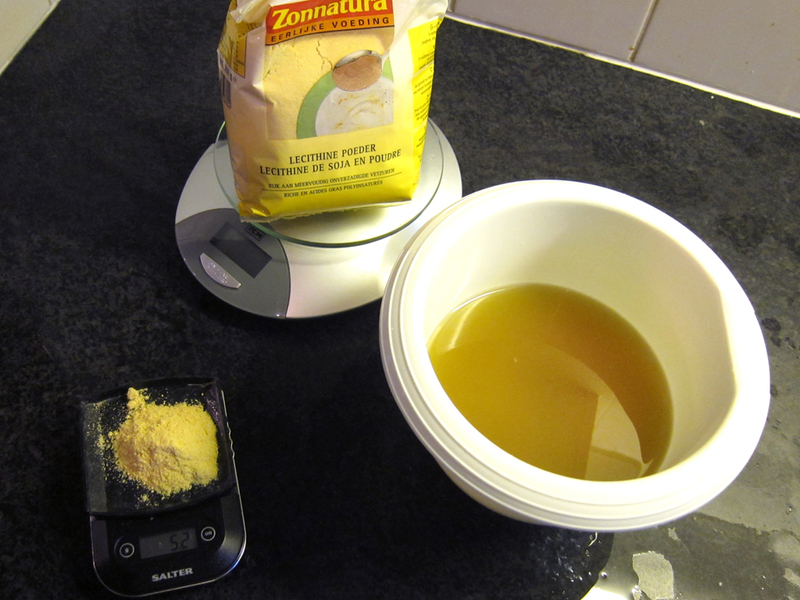 When you add the oil to the dry ingredients the maltodextrin takes up the oil and turns it into a sand like texture. When you eat it though it quickly returns to its liquid form. 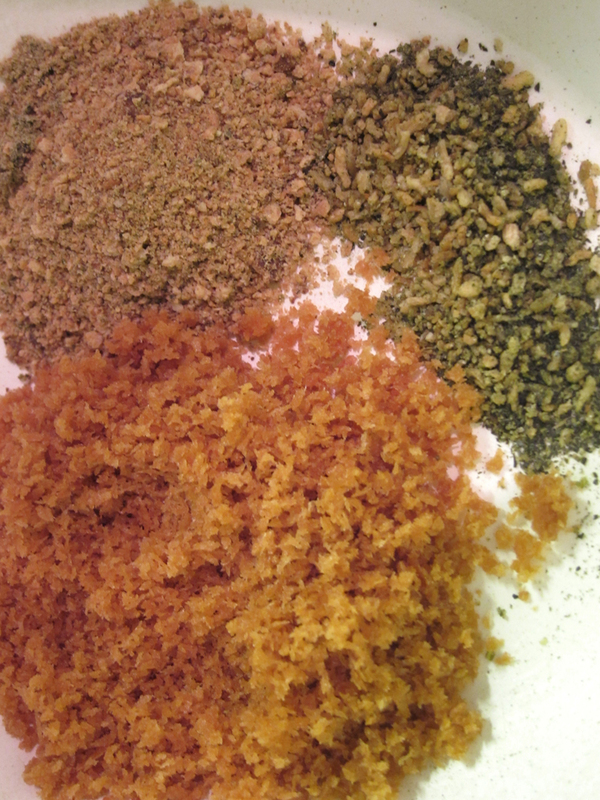 My sand needed a lot of seasoning to give it a kick. 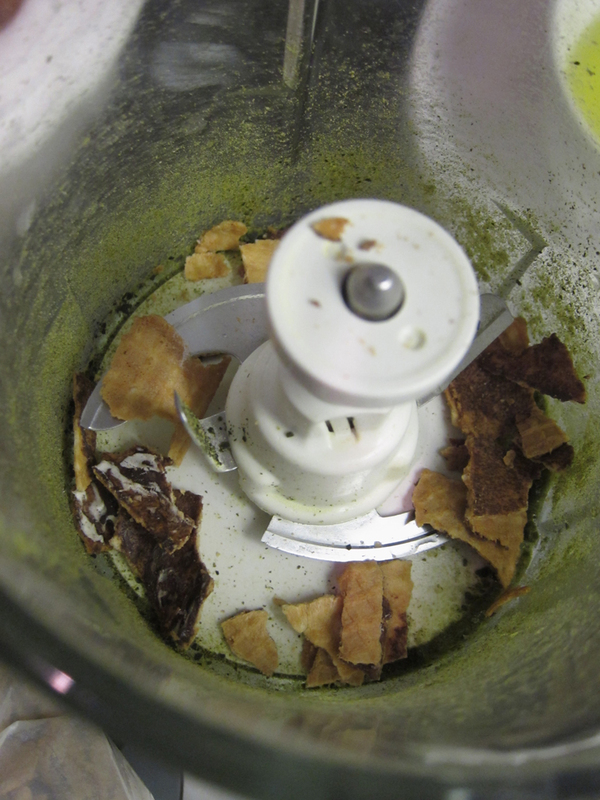 Without the vegetable powder the sand looks pretty pale. 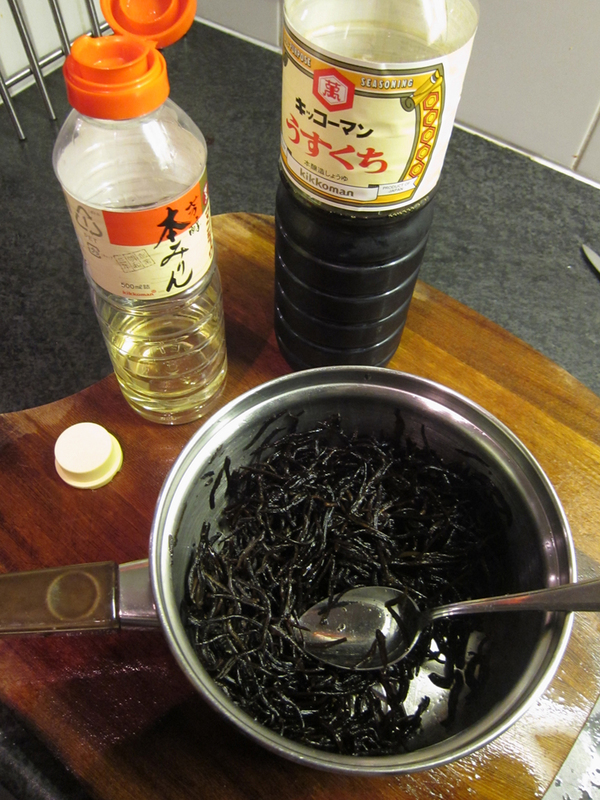 I didn’t try it, but thought of using squid ink (mixed in with the miso oil) to give the sand a darker color. Maybe try it in the future. 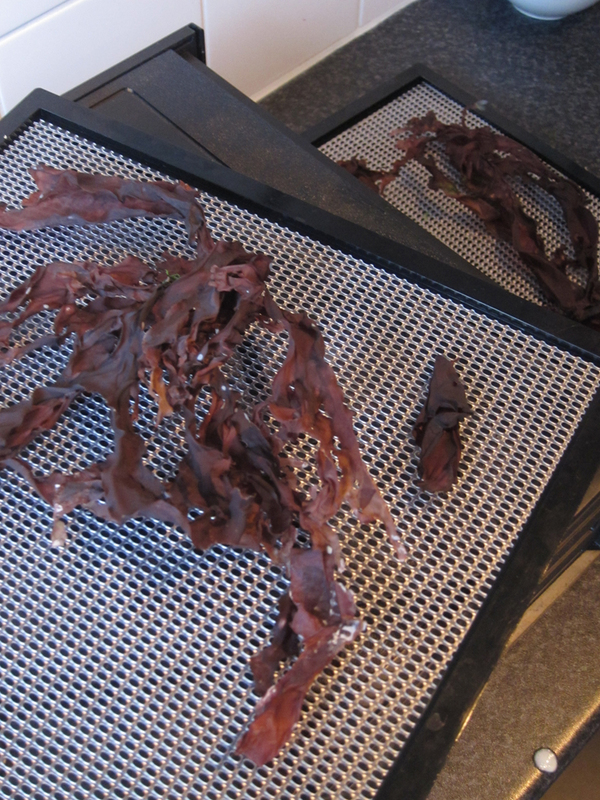 As I said I dried dulse seaweed myself. 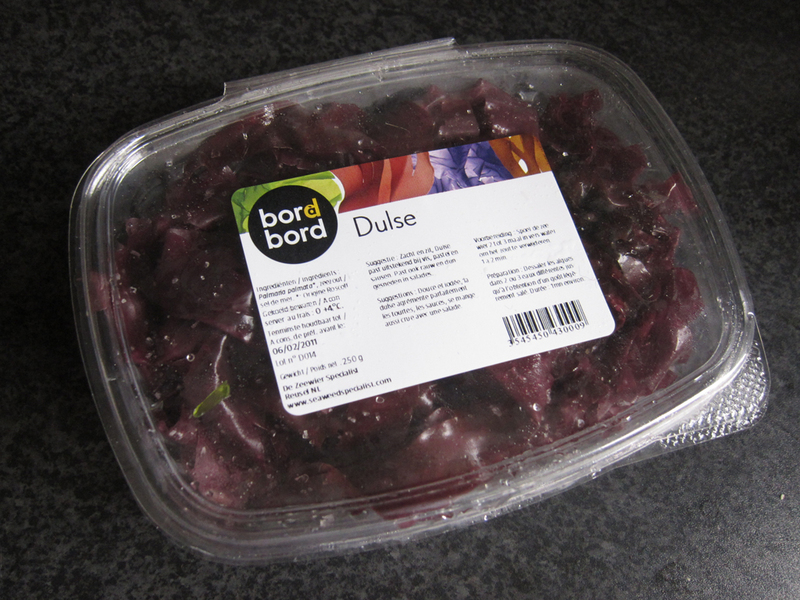 The dulse seaweed is pickled. 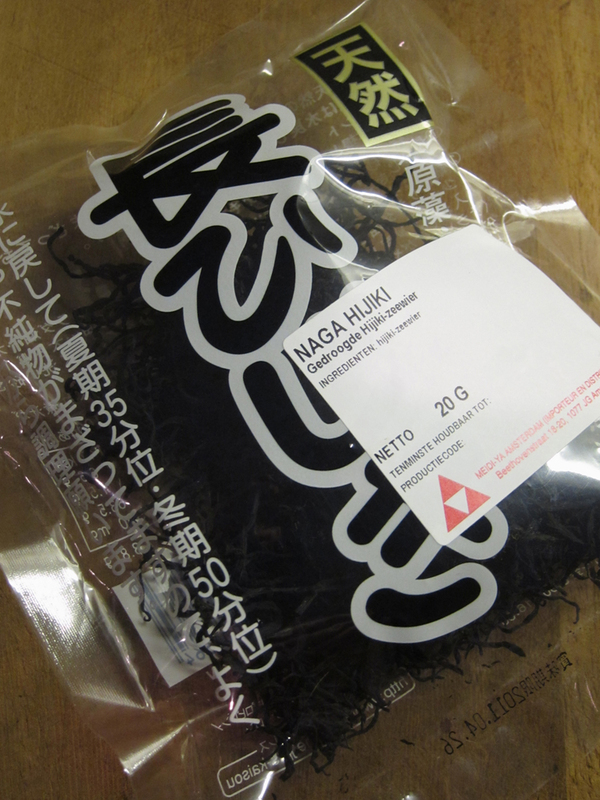 Hijiki seaweed needs to be flavored with usu kuchi shoyu and mirin. 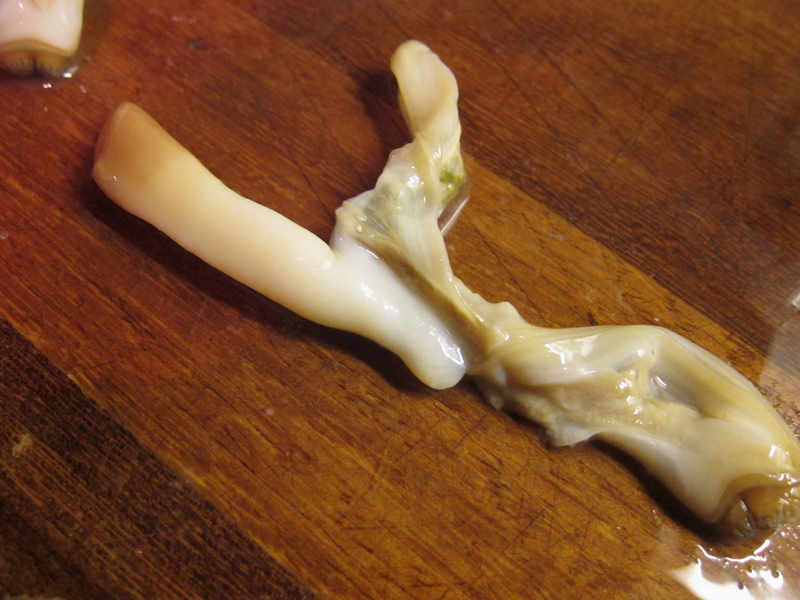 One of the garnishes of the sand is a blanched lily bulb petal. You can easily peel the leaves to separate them. 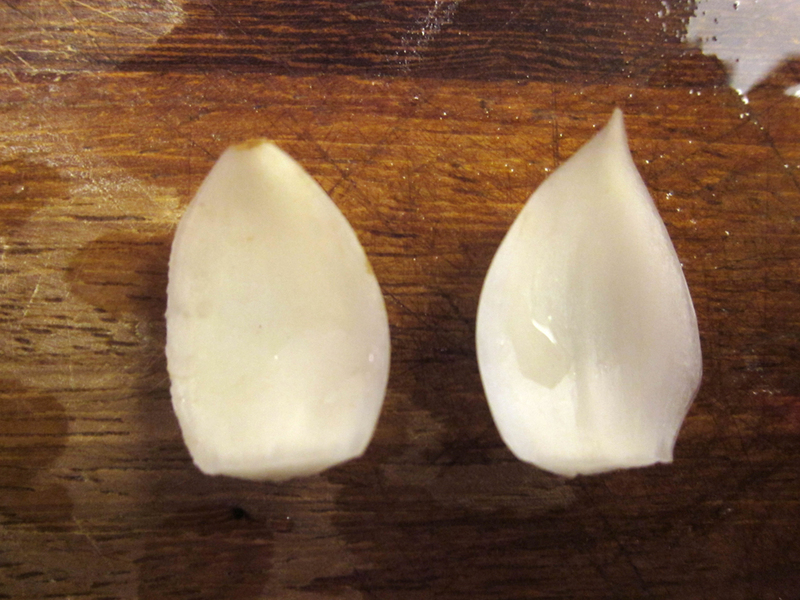 The outer leaves are most suited for this dish, because the petals quickly become, moving to the centre of the bulb, quite small. 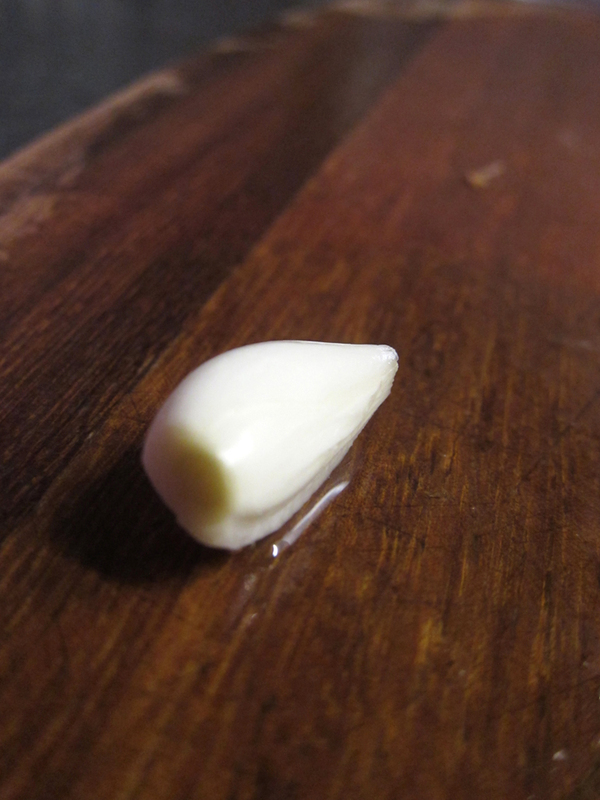 The centre looks just like garlic. 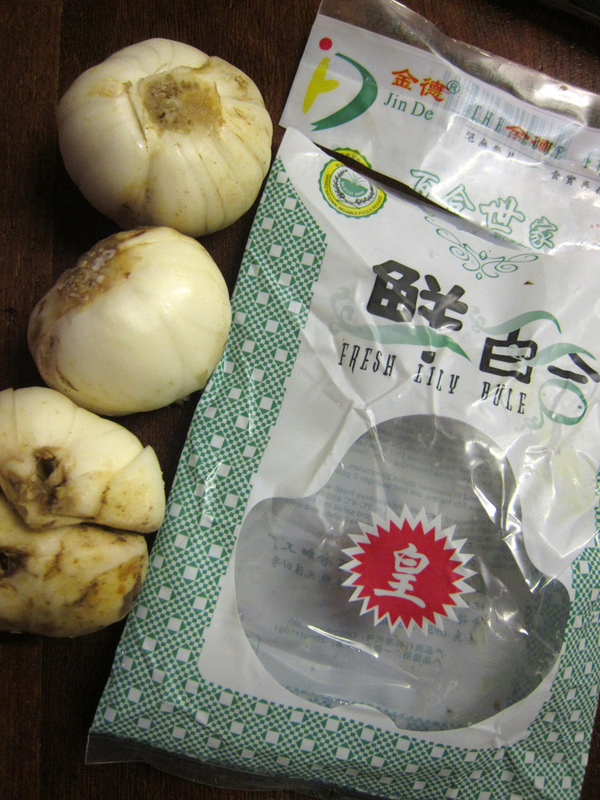 Lily bulbs petals almost already have the appearance of seashells, so there is little to no need to shape them. I didn’t, for instance, shape the right petal in the photo. 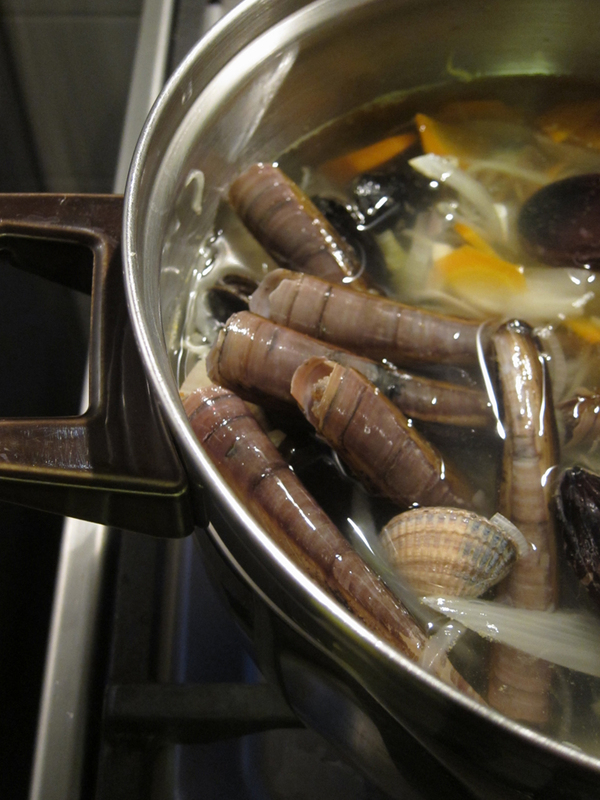 As for the ocean part of the dish you have to make a shellfish stock from razor clams, mussels and cockles and mix it with oyster juice, white soy sauce (I used usu kuchi shoyu) and soya lecithin (to help with the aeration later on). 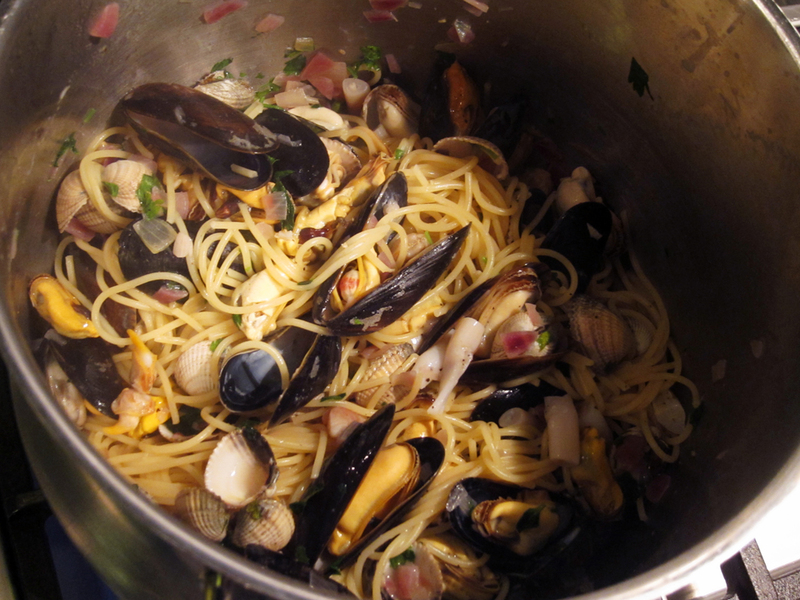 Leftover shellfish make a wonderful pasta. 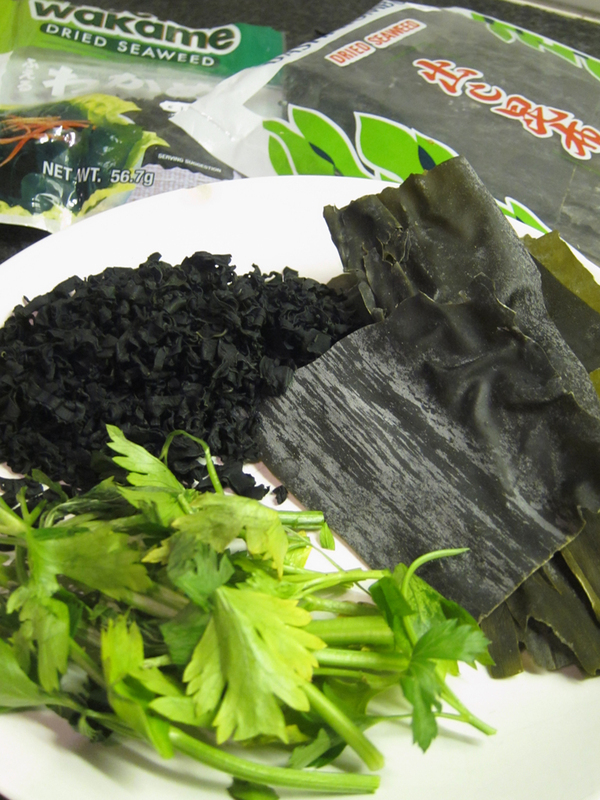 Some of the other ingredients include vermouth, dried wakame seaweed, parsley and kombu. 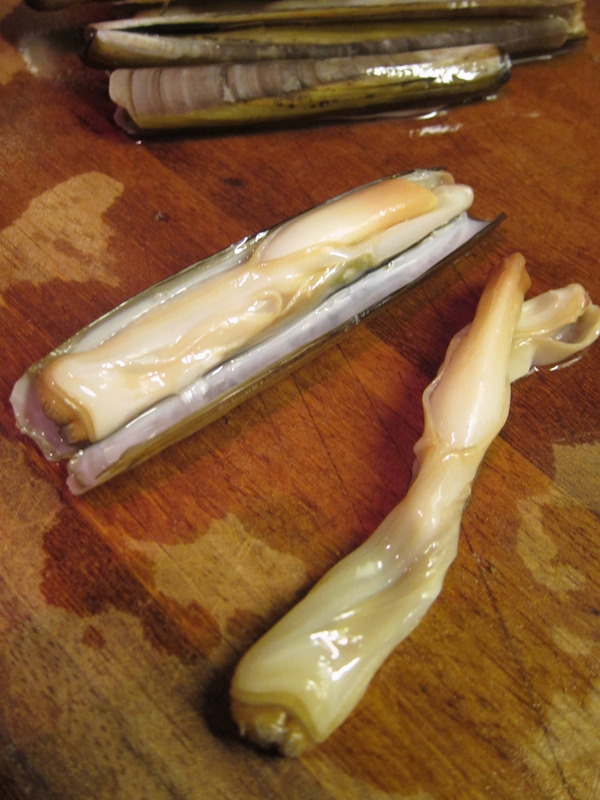 The fish garnishes of the dish are sea urchins (skipped that one, they were not available), razor clams and oysters. 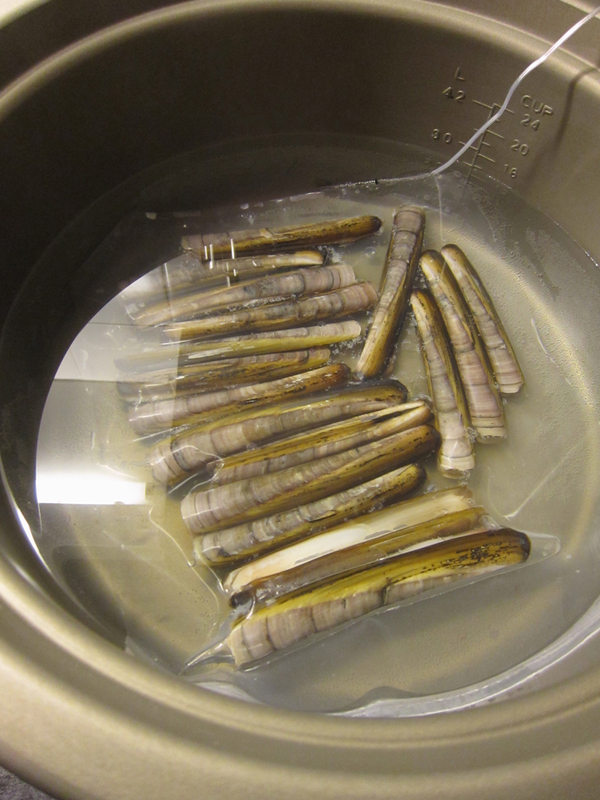 Razor clams are cooked sous vide for 4½ minutes at 65˚C with kombu infused water (made with water and kombu cooked at 60˚C for 1 hour). 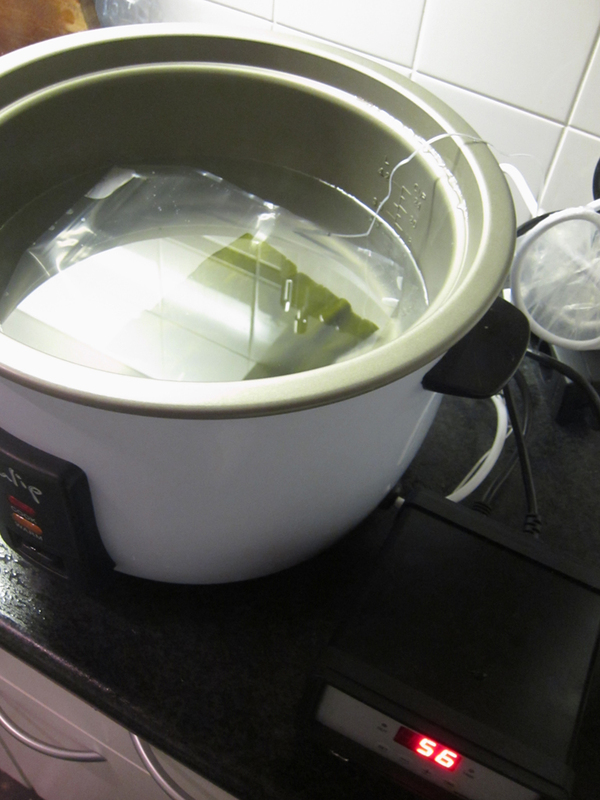 Must say I’ve never cooked shellfish under vacuum. 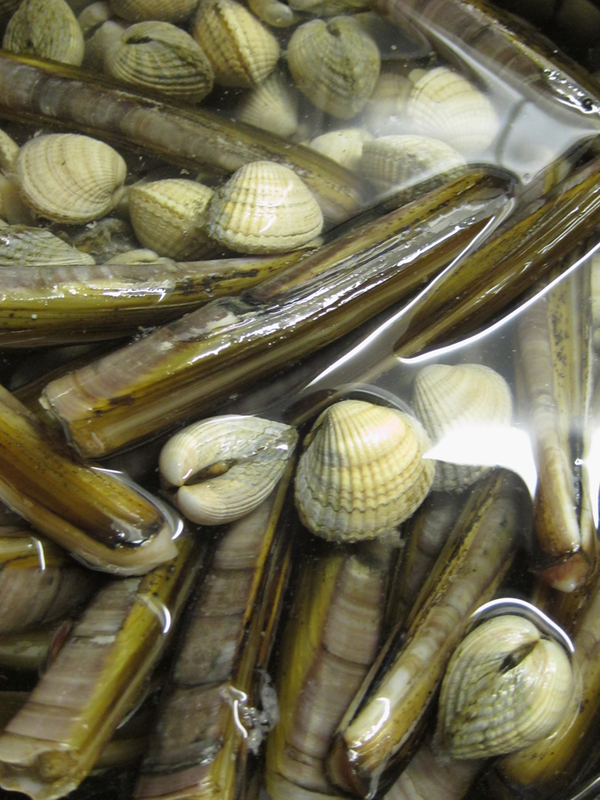 It does leave you with very tender razor clams. I removed everything but the white tube. 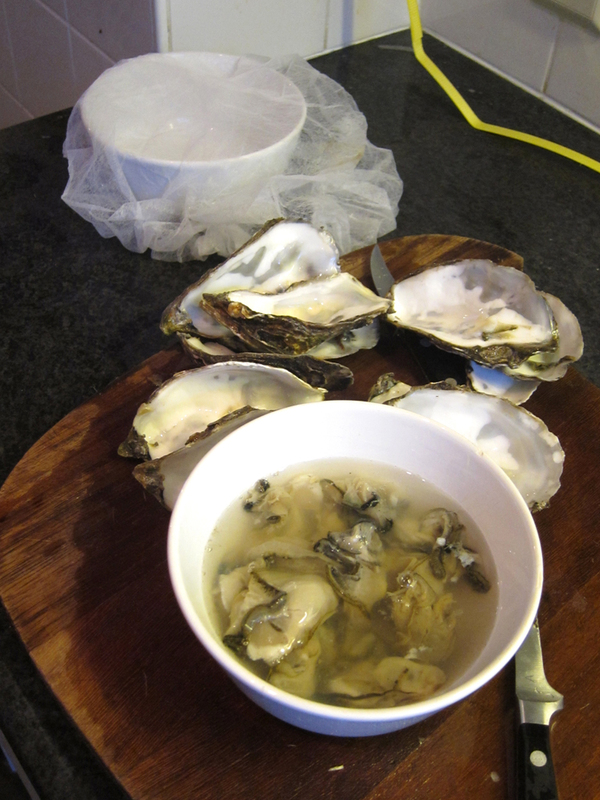 Oysters are the final garnish. 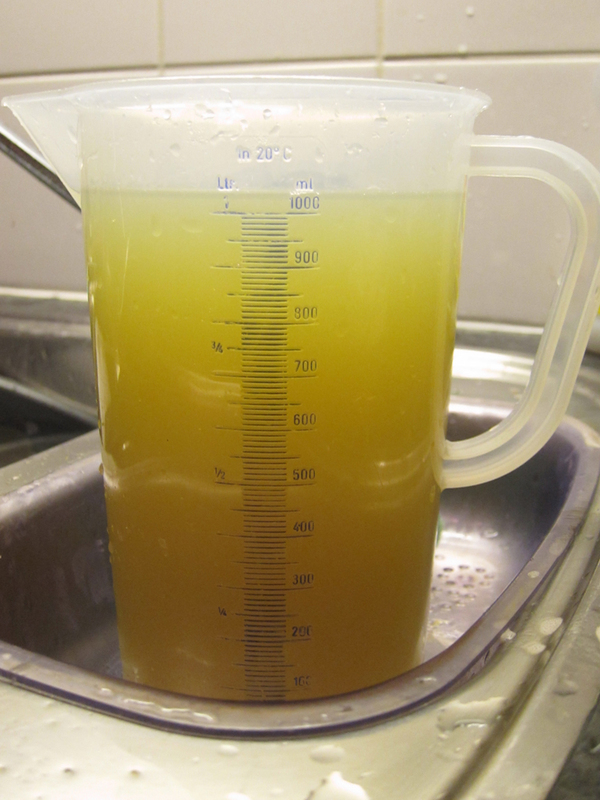 The oyster juice is used for the shellfish stock. With everything ready it was time to eat the Sound of the Sea. 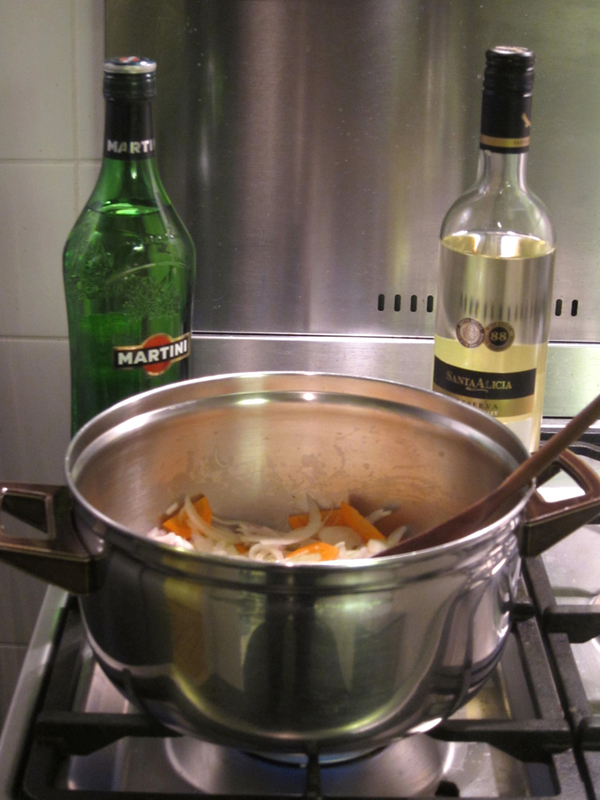 There wasn’t any last minute cooking action apart from foaming the sauce. 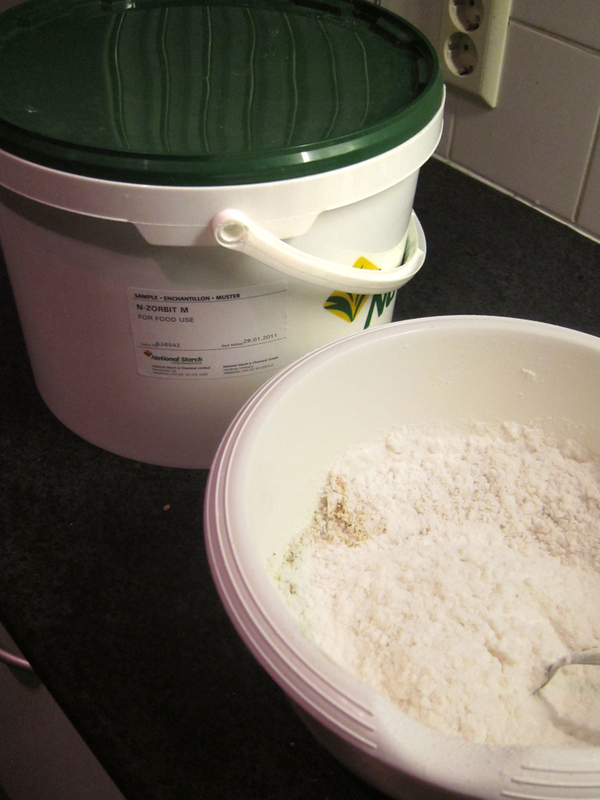 I placed the foam on a sieve to stabilize the foam (like other recipes). 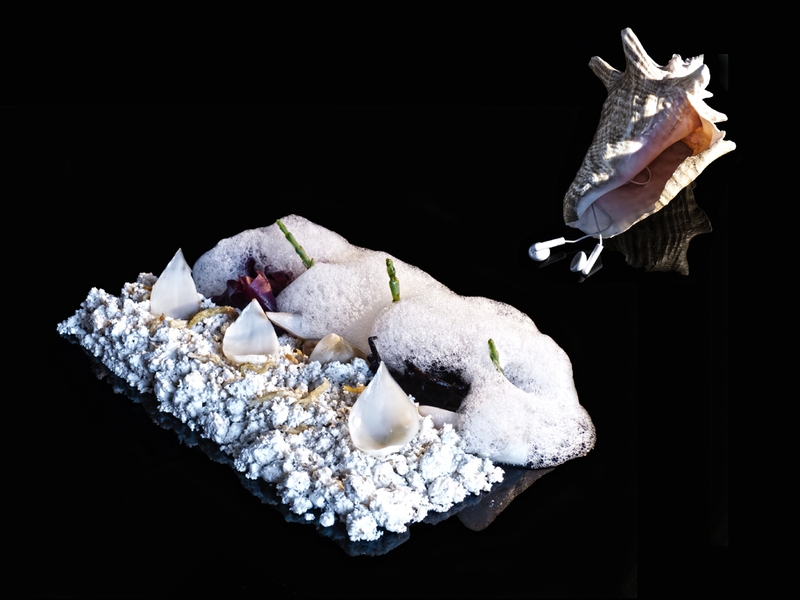 You might think, seeing the photos of this dish, it is style over substance. It’s definitely not. Making a ‘plate’ look like a miniature shore line is clever, but what I found really clever is the dish actually tastes and smells like the ocean. 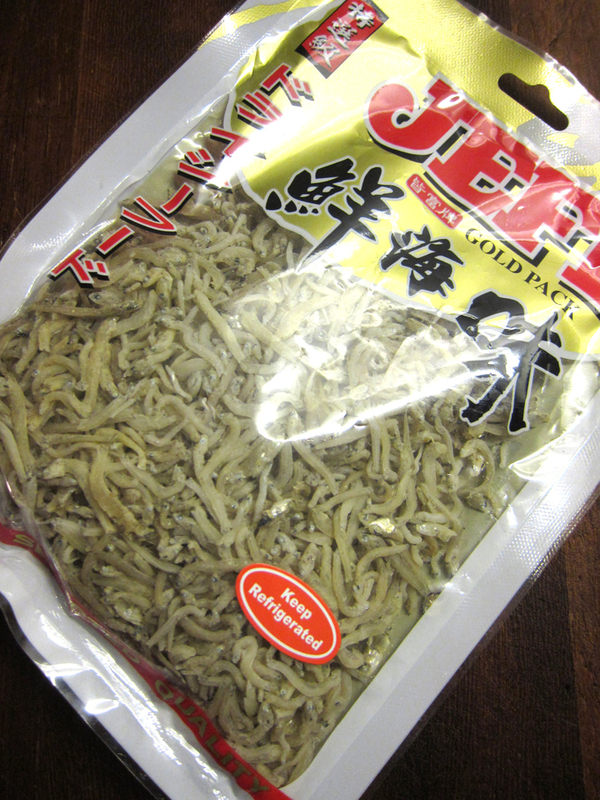 The sand dissolves in the mouth and gives a small bite due to the fried shirasu and fried panko. 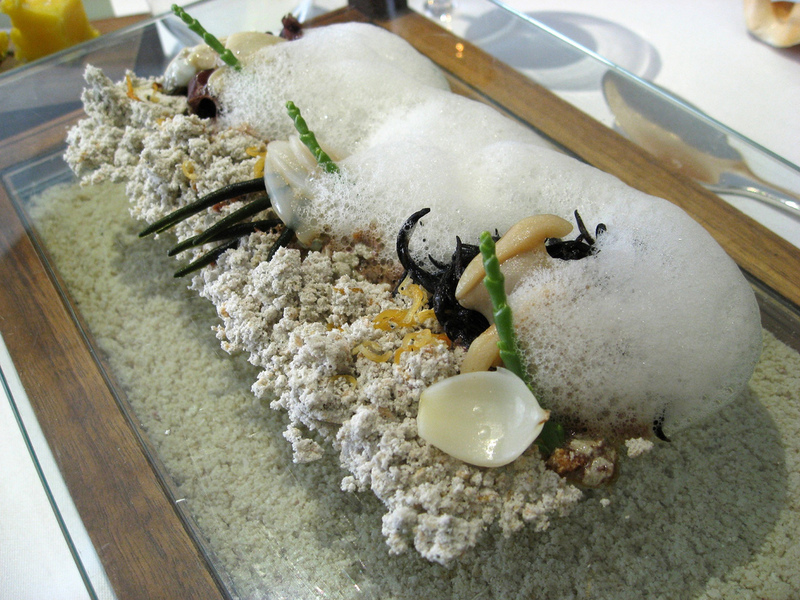 Combined with slightly salty shellfish foam, a range of seaweeds and different shellfish it adds up to a unique fish course. Fresh sea urchins would add another (bitter) ocean flavor, which would complement the dish well, so if you’re gonna make it try to find some. To complete the multisensory aspect of this course it is served with an iPod playing the sounds of birds and waves crashing on the shore. It is suppose to be downloadable on the BBC website, but all I could find was a Youtube video. I played it from a computer, because of a sparse iPod collection, so everyone listened to the same sound source instead of having individual music players. I would also like some mystery when eating at The Fat Duck, so didn’t make an issue of it. Well, this was it. No more Fat Duck dishes for the blog. Strange. I still have two posts in the making (non cooking), so you’re not rid of me yet. Well done crazy dude , youre a top guy…..and now that your finished your quest then Heston needs to knight you …Sir Nuttalott of the Netherlands. Oh and also , seeing as though you have some spare time now , you can help me with a xmas day treat…..Mulled wine , iced and hot….any ideas ? Hi Mandy, thanks. It does feel like a change. Hope you enjoyed all my nagging on the search of ingredients. Haha, Alan, nut of England. Too funny you bring up hot and iced mulled wine. 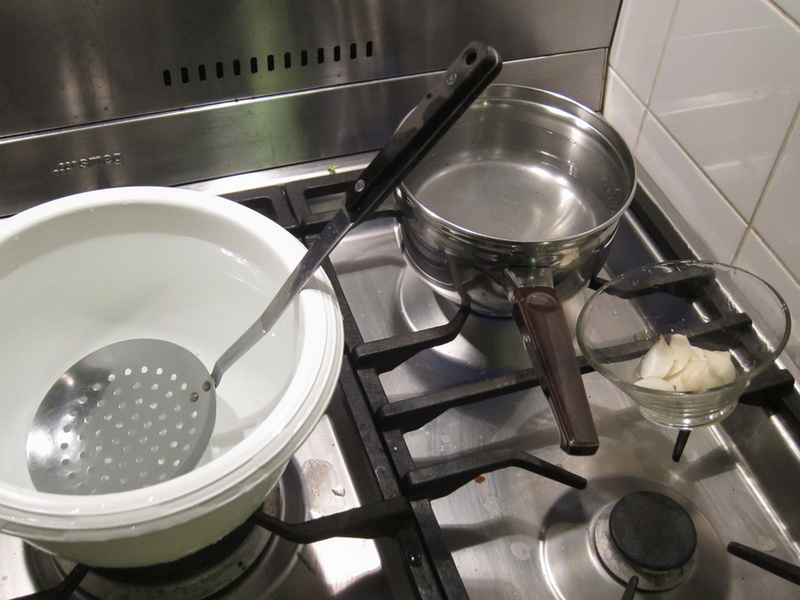 I’m hired to cook on Christmas Eve and have gotten an indication they like their modern cuisine, so I thought of making….. mulled wine Fat Duck style. 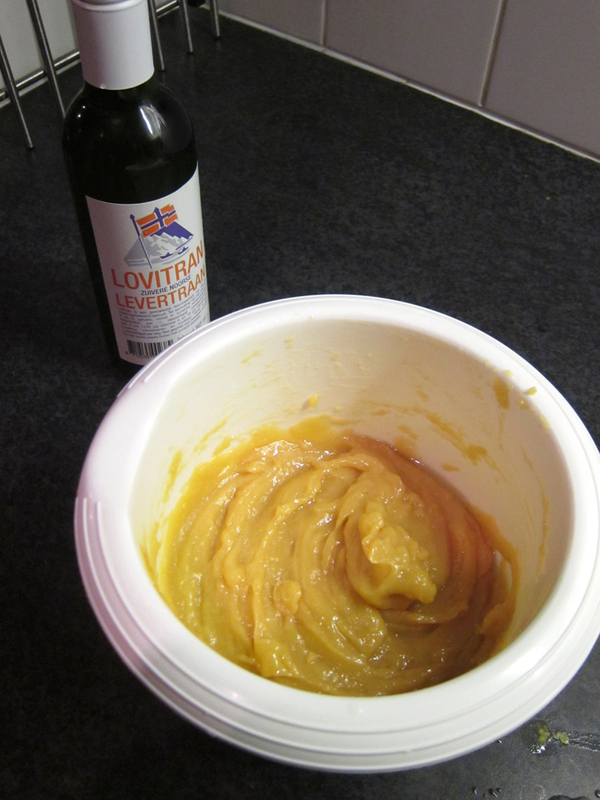 I’ve seen it on the Christmas special of In Search of Perfection, but don’t have a recipe. Will probably make it in the near future with the recipe in the book as the backbone to test it if you can substitute the tea with other liquids. What was your plan? My plan….. Xmas eve / xmas day also , and i seen it on Hestons xmas last night and thought it a good idea.I was just gonna change the recipe from the book but thought…what the hell , Auldo can do it , hes a crazy guy. But as it mentions in the book…. another secret is “double skin ” glasses so the game isnt given away. Never realized they use a double skin glass to leave you in the dark. I used a thick glass cup, but can’t remember if it revealed the difference in temperature or not. I think not, am not sure though. I think that if you work quickly any thick glass can hold back the different temperatures for a few moments. 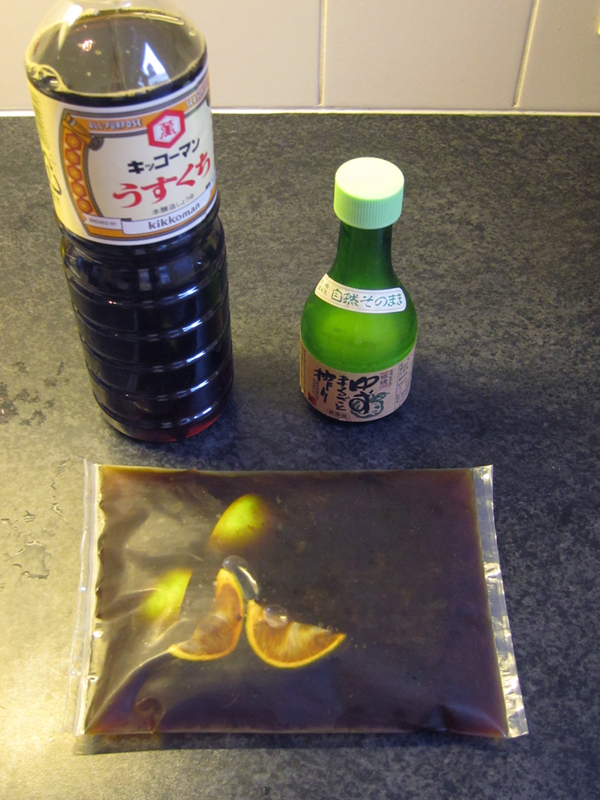 Now I’ll definitely make the mulled wine to test it out. Hot and iced mulled wine? Interesting concept. But what I’m most curious about of all, is: What are you up to next? He Marc, I hope I’ve taken the label ‘uncookable’ from the book, haha. 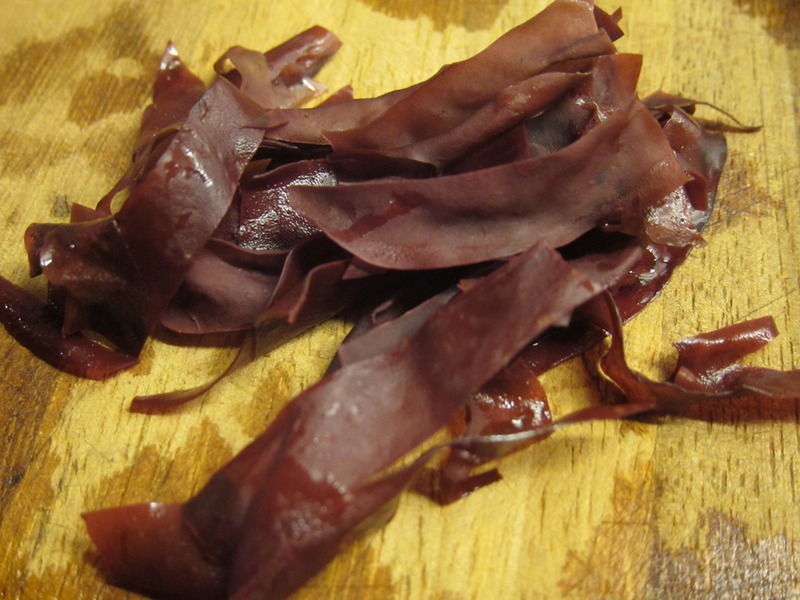 You could defnitely substitute agar for gellan F, but you would need to experiment with new proportions. Did you know gellan F is sold as ‘Gellan’ as part of the Texturas line? That would make it much easier to find. As what’s next, I’m not going to start a new blog or book. I loved every minute of this endeavor (you know that’s a lie, haha), but it is not something I want to repeat with another cookbook. More general I’m at a crossroad in my life (corny! 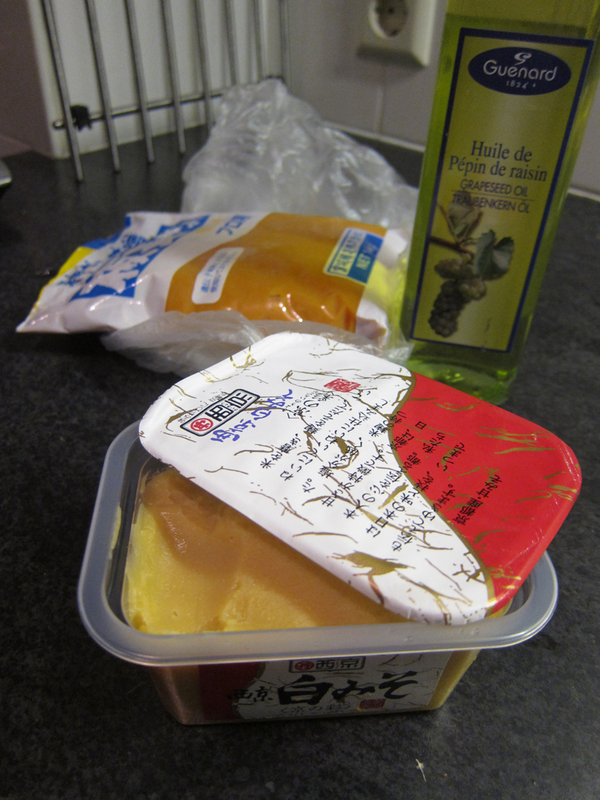 ), but that is the sort of personal stuff I want(ed) to keep away from this blog (there are enough of those already). Stunning work! Thank you so much for sharing all the trials and tribulations, and of course triumphs, you’ve gone through. Reading your efforts gives the actual FD book another dimension. What do think of picking up the Noma cookbook now that you are done with Heston’s? Have been reading your blog for months–really enjoyed it! Matt, thanks man, appreciate it. He Brian, I’m thinking of picking up the Noma cookbook; buying it, not blogging about it. I can’t see myself heading out on the hunt for all the little herbs needed to do justice to the recipes, haha. Well, Auldo, a Big Fat congratulations to you and a huge pat on the back as well! 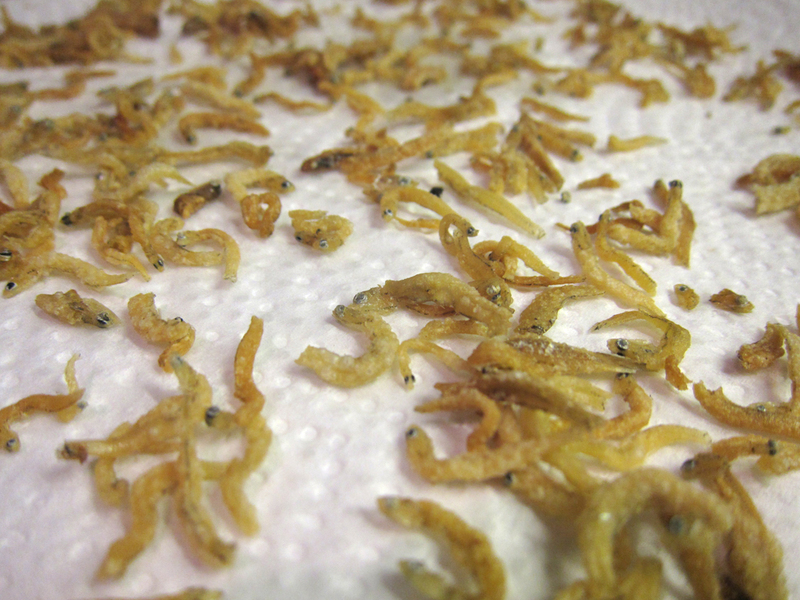 I’d like to say you have outdone yourself with this last post but really you have been doing a stellar job throughout and this blog will remain a great reference for those of us who need a little extra insight into the FD’s dishes when we attempt to make them. If I am ever in Amsterdam I would love to meet and say hello. BTW, NOMA is a wonderful book and will definitly give you a new perspective into what could be a 3-star cuisine even if it has tons of very esoteric and tough to get wild ingredients. 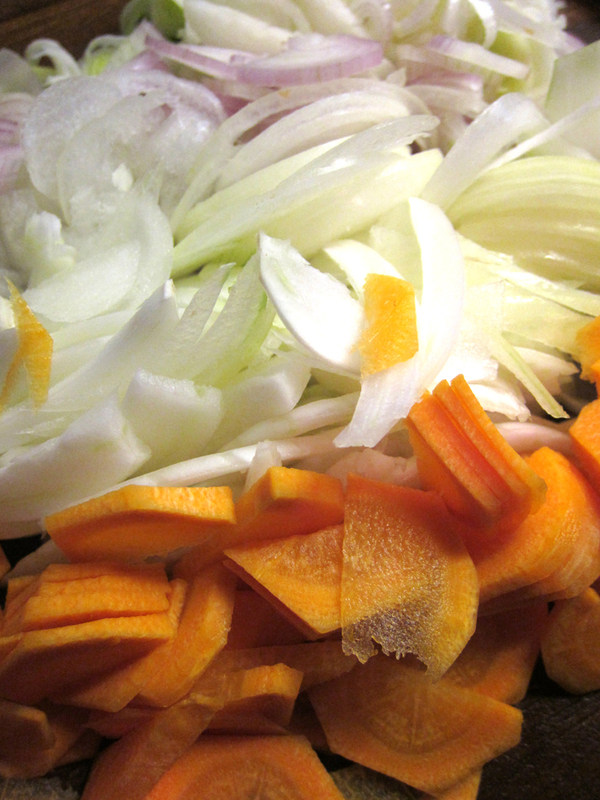 Some recipes or components are very doable. He Elie, really appreciate it. 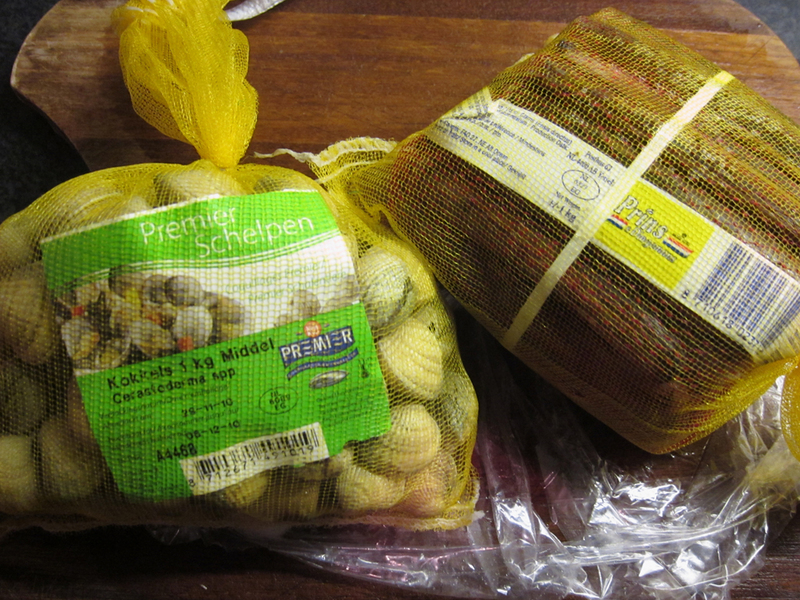 Do let me know if you’re ever in Amsterdam. I wanted to order the Noma Cookbook, but it was out of stock at my usual shops. A very popular book by the looks of it. I’ve been wanting to go to Noma for about two years now, but there are not a lot of people prepared to spend the money. Shame, cause it seems that now it is almost impossible to get a reservation. Congratulations on your epic journey. Look forward to your final couple of postings, assuming one will be of a visit to the Fat Duck. If so, relax and enjoy not having to cook the dishes for yourself. Will miss the blog as it has inspired me to actually get into the book and try and replicate some of the dishes although I have used it more as a source for ideas rather than a template. He ab, thanks for the words. Will definitely make a post on my visit, but I haven’t even made a reservation yet, so it will be at least a couple of months. Double skin glassware does exist to us mere mortals. If you want to go one step beyond in Heston cooking, there’s now a book of his last TV series (Fantastical Feasts) that includes recipes. I suspect that, even more than Fat Duck cookbook, it’s designed as a “How I did it” rather than “How to do it”, but if you want to make a full-size gingerbread house or a genuine flying saucer, it tells you how! Aaaaaaah. No more Blumenthaaaaal!!! You want to kill me John, haha?